The fictional Himalayan country of Kyrat was a great setting for Far Cry 4. While the original Far Cry was a PC action game (released in 2004), and made by German developer Crytek, subsequent games were created by Ubisoft Montreal, as Crytek sold the Far Cry franchise to Ubisoft and went on to focus on the Crysis games. And it is clear that the Far Cry series has been in good hands, as Ubisoft’s games have certainly gone from strength to strength, with the likes of Far Cry 4 garnering widespread acclaim. 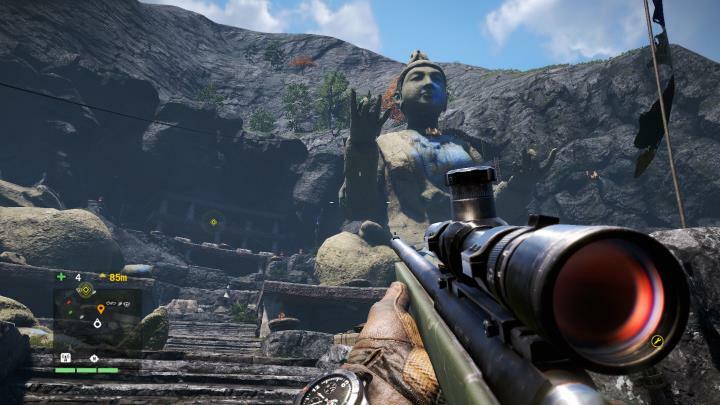 And while Far Cry 4 was criticized for borrowing too many elements from its predecessor Far Cry 3, it is still a great game that improves upon the previous game in many ways, for instance enemy outposts were larger and enemy AI was improved overall. And the game not only delivered great first-person action, but it also featured a great, exotic setting (the fictional Himalayan country of Kyrat) and one of the most memorable villains in recent memory. The game’s antagonist Pagan Min, an egocentric dictator fond of pink suits and prone to violent outbursts, was a great character and certainly made Far Cry 4 a joy to play.